Selecting an engagement ring style is too often seen as a daunting task; whether choosing for your partner, selecting the ring yourself or working together as a team to create the ring of your dreams, a little expert knowledge is sure to alleviate any potential stresses that may arise during this exciting process. 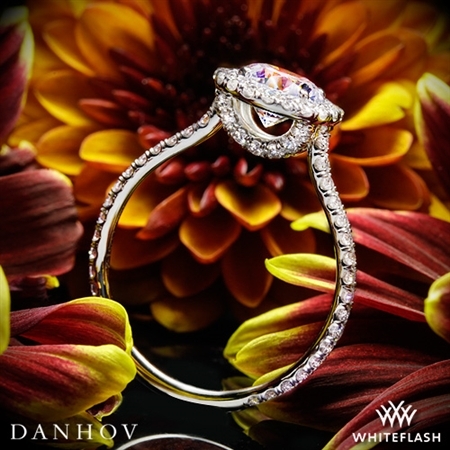 Ultimately, the best engagement ring will be one which combines your personal taste with an exceptional diamond and a lifestyle-appropriate setting. Before beginning your search, familiarize yourself with the basics. From here, you can build a picture of your ideal ring, adding any necessary tweaks or desires until it is perfect. The sky is truly the limit with engagement rings. Don’t feel boxed in by perceptions of traditionalism if they don’t suit your style. History has shown us that a diverse collection of designs have been adored over the years, and the possibilities continue to bloom. Inspire yourself with a trip through history and discover the iconic engagement ring styles of times gone by. I have compiled a list of some of the most popular engagement ring styles, and also addressed some of the questions and concerns that naturally surround such a significant purchase. 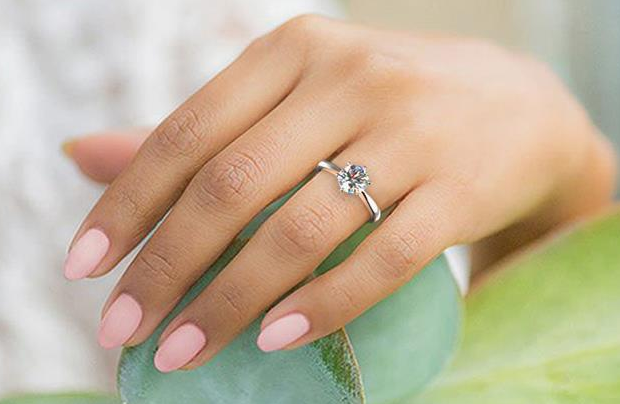 From choosing metals to the everyday functionality of ring styles, this list is formed from decades of experience and will make your ring choosing experience a pleasure rather than a chore. These two styles are adored the world over for their simplicity and elegance. Often seen as the most traditional style, a solitaire is simply categorized as a band with a single diamond or gemstone in the center. 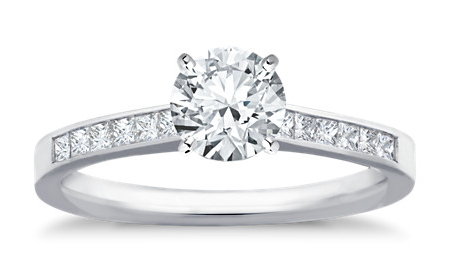 The solitaire style often uses a claw setting to hold the center stone, although it is not limited to this. Adored for its perceived simplicity, there can be many small alterations made to the setting of a solitaire, as well as changes in metal and center stone, which can all be used to personalize and perfect the finished piece of jewelry. A halo describes smaller diamonds encompassing the center stone, mirroring its shape. It is most commonly used to surround round brilliant or princess cut diamonds. However, any diamond shape can feature a halo setting. 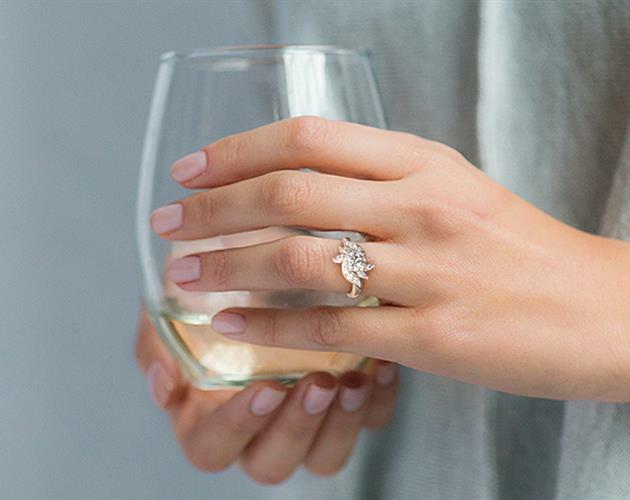 A halo emphasizes the beauty of the center stone, and also gives additional impact to the overall ring by creating a larger surface area on the finger. When one diamond is simply not enough, there are many setting styles which incorporate additional sparkle into a design. This rose gold engagement ring by Hearts on Fire beautifully displays a trio of round brilliant diamonds in a claw setting. A three stone or trilogy ring is said to represent the past, present, and future of a relationship. Taken from the French ‘to pave’, a pavé setting features small diamonds set close together and separated by small metal beads. The impression is one of an endless stream of diamonds paving the band. 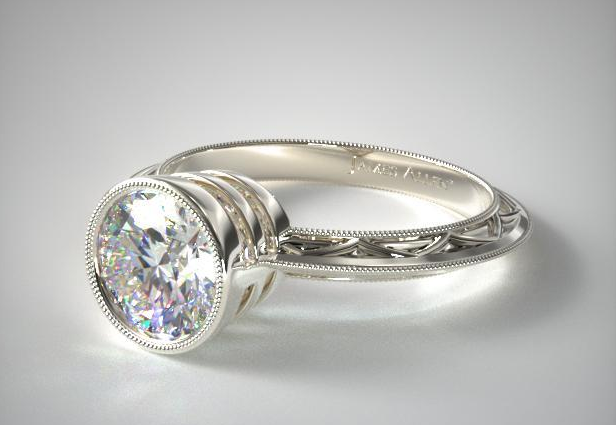 A pave setting can be worn alone as a band design or used as an addition to a solitaire style engagement ring. A channel setting describes diamonds or gemstones that are set within the band between two metal strips. This Blue Nile ring uses channel set princess cut diamonds to contrast and compliment the round brilliant center stone. A ‘vintage setting’ is a broad term which encompasses any design that draws from the style features of bygone eras. The most prominent vintage settings are Victorian, Edwardian, and Art Deco. This ornate setting by James Allen is inspired by Edwardian jewelry, which featured detailed metal work and inspiring shapes. If you would like to further explore the possibilities of vintage engagement rings, this article covers styles and tastes throughout the ages. Some engagement ring settings naturally lend themselves to a more active lifestyle. In a particular physical or hands-on job, a high-setting or an overly ornate style may be impractical for the wearer. In this instance, there are some stunning settings that are more conducive to a busy lifestyle. A bezel setting surrounds the diamond in metal, reducing the chances of chipping the stone or catching it on clothing. It offers maximum protection to the stone, allowing the wearer peace of mind when undergoing hands-on activities. Although often selected as an option for a wedding band, a drill set band would be the perfect choice for any bride-to-be who is unfamiliar or uncomfortable with wearing large jewelry. The diamonds are set into the metal band giving a smooth finish and appearance and offering maximum security and comfort. There are no hard and fast rules when choosing an engagement ring style; it is a personal and creative decision with no boundaries. However, when it comes to choosing a metal, there are some pointers which must be followed to ensure the durability and longevity of your ring. Gold – You will hear gold discussed in Karats (not to be confused with the carat weight of a diamond). The karat expresses the purity, or finesse, of the gold in proportion to the other alloys used. For hardwearing jewelry, particularly when using gemstones, I would recommend a finesse of 14k, 16k, or 18k. Anything below this (12k, 9k) will not give the depth of color and will tarnish over time. Anything above (22k, 24k) will be too soft. Gold is a fantastic choice for an engagement ring as it also gives flexibility on the final finish. 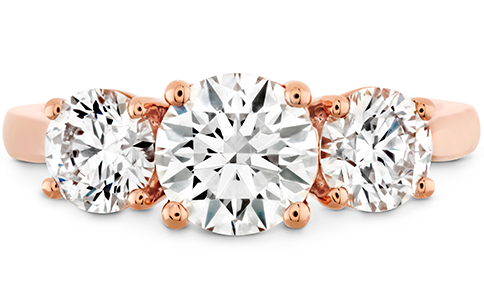 White, yellow, and rose gold can all be used to make beautiful engagement rings. Platinum – Where budget allows, platinum is the best metal for an engagement ring. It is the most durable metals used in gemstone jewelry and will not thin over time. Silver – Silver is not an appropriate metal for setting diamonds of gemstones. It lacks the stability and durability required for creating lasting jewelry. A colored gemstone can be a great way of adding a unique twist to your chosen setting. Where budget allows, a colored diamond remains the best choice for an engagement ring. However, there are other gemstone options which are sure to stand the test of time. Pearls – Pearls are extremely fragile and also very porous. Over time, they can absorb the natural oils in our skin, chemicals in hand creams, soaps, and other cosmetics which not only compromises their durability but will also cause them to change color. Opals – Opals are best reserved for occasion jewelry. They are naturally soft stones that are extremely susceptible to chipping and shattering. Sapphires – Reaching a 9.0 on the Mohs Scale, sapphires are the perfect choice for an engagement ring. They can also be found in a spectrum of striking colors. 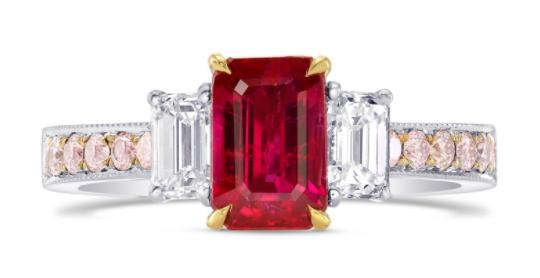 Rubies – With the same Mohs Scale rating, a Ruby is a classic and timeless choice for an engagement ring. Morganite – While it does not have the same durability as sapphire or ruby, Morganite is a popular choice for modern brides due to its delicate blush colors of peach and pink. With the right care, a morganite engagement ring will stand the test of time. This stunning ring by Leibish perfectly demonstrates the harmony that is found when colored gemstones are brought together. The central ruby is enhanced by white and pink diamonds, and the yellow gold detailing adds a hint of warmth to the piece. If you are opting for a diamond engagement ring, familiarize yourself with the Four Cs where you can read the summary here. The four Cs are cut, color, clarity and carat weight, and all are sure to have a great impact on the final look of your engagement ring. Cut – The cut of a diamond is often confused with the shape of the diamond. The cut actually refers to the specific cutting proportions within the stone, and how the angles and facets disperse and distribute light. The cut of the diamond has the greatest impact on the sparkle and beauty of the stone, therefore understanding it is paramount in making the right decision. Cut is graded by the GIA on a scale of Excellent, Very good, Fair and Poor. Color – A colorless or near-colorless diamond is the most desirable, as it gives the white sparkling finish that we expect from diamonds. The presence of nitrogen can give a yellow hue to diamonds and distract from its beauty. The GIA grade the color of a diamond on a scale, with each grade being denoted by a letter. The scale begins with ‘D’ (a colorless diamond), all the way down to 'Z’. Anything from a D-F is consider colorless, while anything from a G-J is near-colorless. Clarity – As they are naturally formed within the earth, diamonds will often contain blemishes or inclusions. The diamond clarity refers to the absence of such inclusions. The GIA rate clarity on a scale from FL (flawless) down to I3 (included). Carat – Carat refers to the weight of the diamond, rather than the size. A good cutter will cut the stone to the best proportions possible, as opposed to the greatest carat yield. While carat weight may be important to you, it must always be considered in relative terms to the other four Cs. A 2.00ct diamond that has been poorly cut will not hold a candle to a perfectly cut 0.70c. The fifth C refers to diamond certification. 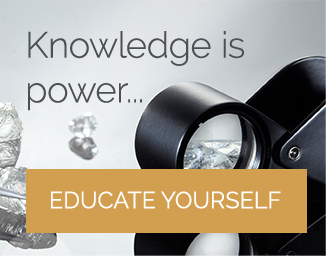 When considering diamond quality, certification is the most important factor of all. 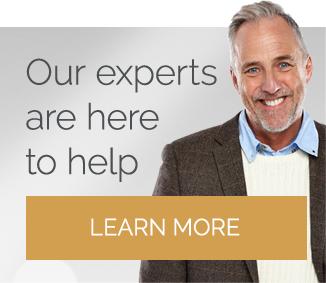 The most trusted and internationally acknowledge diamonds labs are the AGS and GIA, and I strongly recommend obtaining a certification from one of these institutes for all your diamond purchases. 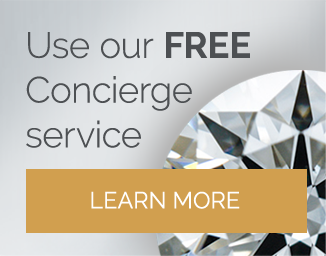 I have selected some of the most trusted and reputable online retailers, however, should you find another which I have not covered, be sure to ask the right questions: diamond certification, aftercare, high-res images of the diamond and on-hand advice throughout the process should be a minimum when purchasing an engagement ring. 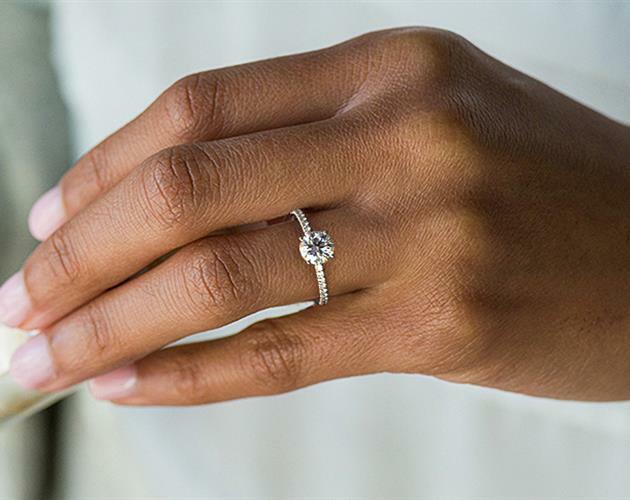 Blue Nile has the largest inventory of loose stones, making it a strong choice for those looking for fancy cut diamonds. Its vast selection also means those on a smaller budget are able to maximize it and compare a large array of stones before making its choice. As well as holding an impressive inventory of colored stones, Leibish is also experts in setting them. Its website is focused on creating stand out jewelry, using colored gemstones in the most flattering settings possible. James Allen would be considered a great ‘all-rounder’. It consistently delivers stunning quality jewelry, and its business model is geared heavily towards engagement and wedding clients. James Allen’s in-house diamonds True Hearts™ are some of the best quality diamonds available from the market. 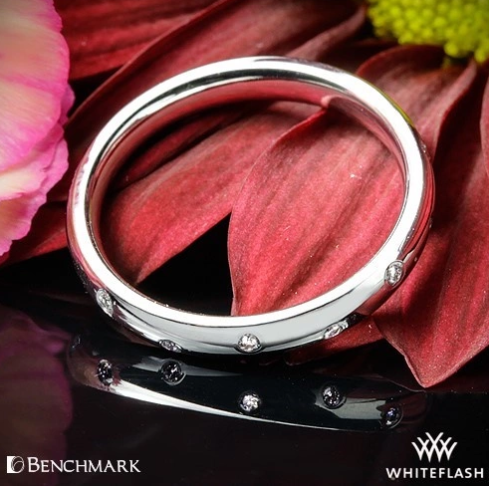 If you are looking for an exceptional quality diamond, then Whiteflash’s in-house A CUT ABOVE® comes out on top of the competition. With extensive technical information and an inherent commitment to delivering perfection, its diamonds stand out as the best performing on the market. Tiffany sells exceptional quality jewelry, but you can expect to pay a huge premium. If money is no object, then its concierge service and the all-round ‘glossiness’ of the Tiffany experience may appeal to you. When searching for the best engagement ring, my final advice would be; when in doubt, ask a professional. Build an idea of your perfect ring using the factors above, then work with an expert to watch your vision come to life. The best ring will be certified, long-lasting, exceptional quality and personal to the wearer. Beyond that, the sky is the limit.